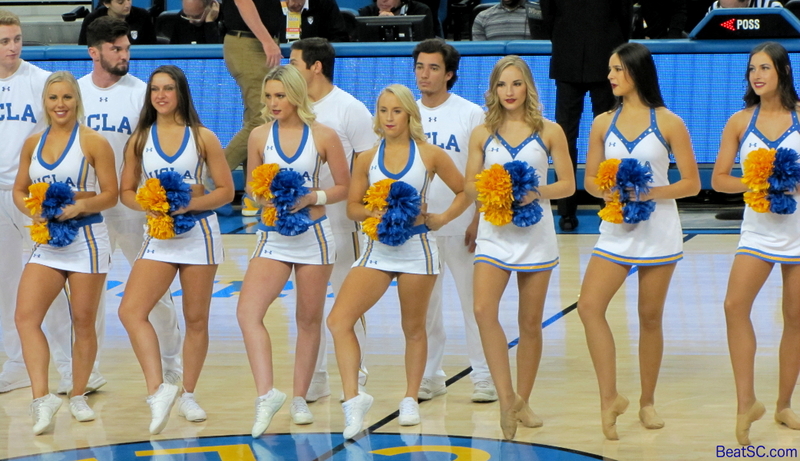 Trojans shot down like dogs — UCLA’s Aircraft Carrier Thomas Welsh carries the Bruins to victory over u$c 82-79, scoring 21 Points including UCLA’s last 5 — a 3-pointer to give them the lead, and 2 Free Throws to go up by 3 with 11 seconds left; Aaron Holiday (23 Points, 9 Assists, 6 Rebounds, 1 Steal, 1 Block) was Aar-Craft Carrier #2, with crafty play that helped carry UCLA back from deficits of 11 in the first half and 9 in the second, because these Bruins Never Surrender! 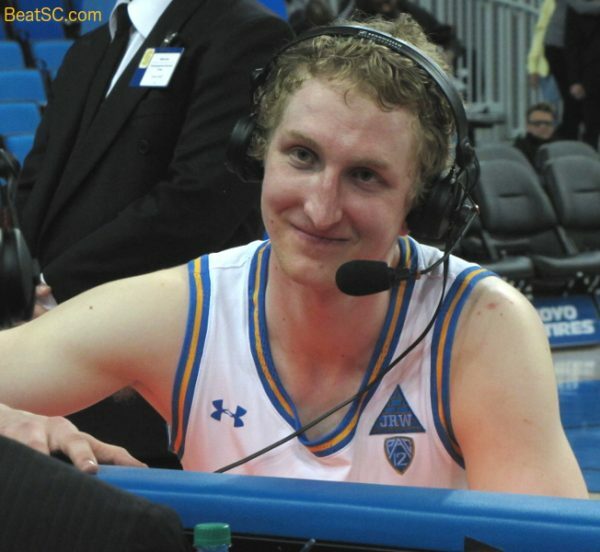 The Welsh Terrier is a breed of dog that was originally bred to hunt rodents, and today, UCLA’s Welshie exterminated the trojan vermin with his Senior Leadership and last-minute clutch shooting in a dramatic, come-from-behind (twice) 82-79 triumph at Pauley Pavilion. 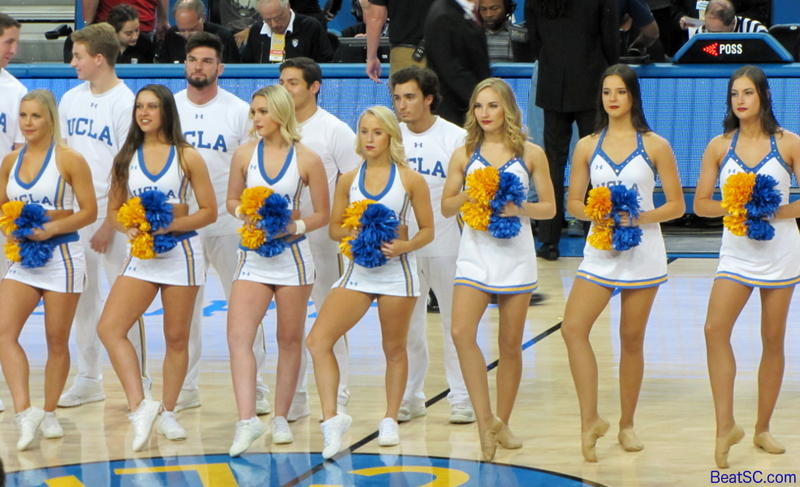 With the score tied at 77 with 54 seconds left, Bruin Point Guard Aaron Holiday notched his game-high NINTH Assist by feeding Welsh at the 3-Point line, where Thomas calmly swished the trey. Sc hit a couple of Free Throws to cut the deficit to one, and got the ball back after a missed Bruin Free Throw, but missed a wild shot and Welsh secured the rebound. 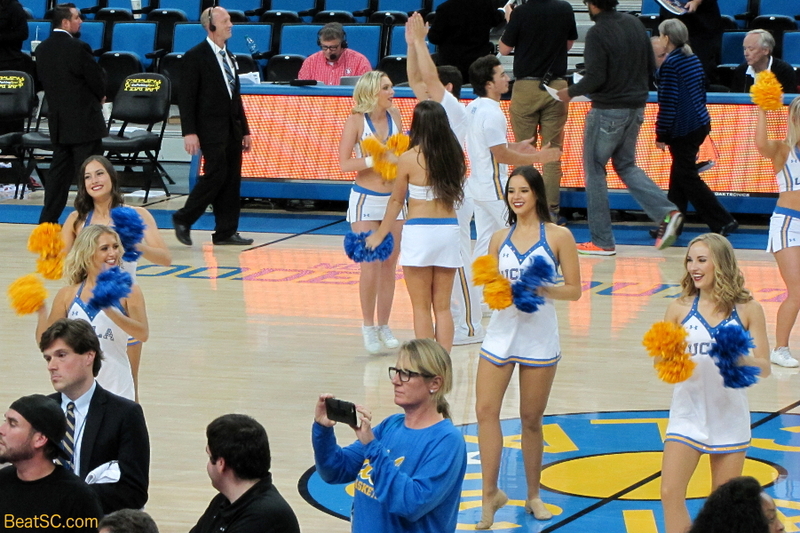 They fouled him, and with 11 seconds left in the game, Welsh — who was celebrating his 22nd Birthday — came through in the clutch, draining both Free Throws. Troy still had a chance, but, down by 3 — even though UCLA chose not to foul them to prevent a potentially game-tying three — they were unable to cash in on their two tries, and that was the end of the trojan 6-game winning streak. There is a new “hottest team” in the West. 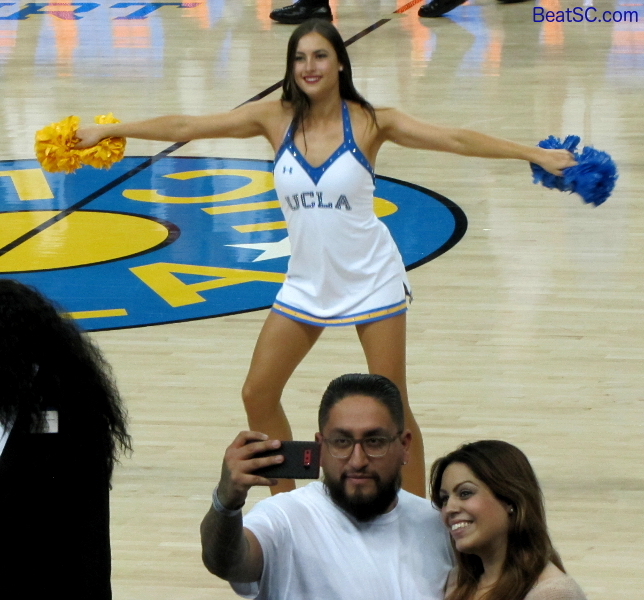 There were two times in this game where it looked like u$c was going to blow the Bruins out. About 9 minutes in, Figueroa Tech took an ELEVEN Point lead. 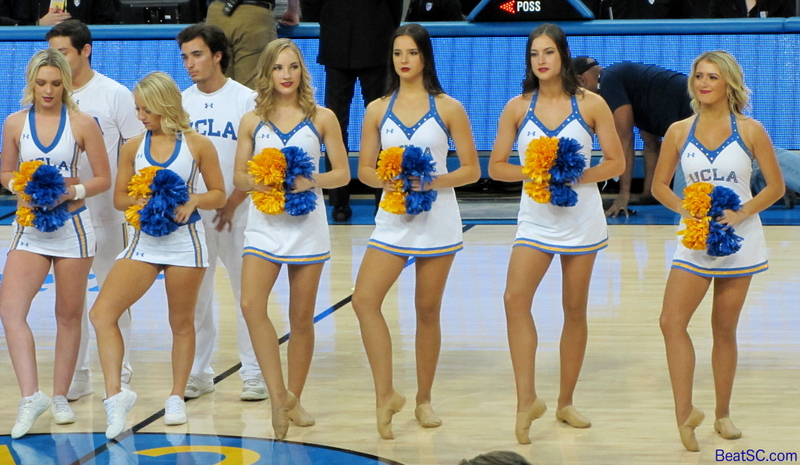 But UCLA turned it up a notch, and went on a 14-2 run to get back in front. Holiday led the charge, but he had help from the bench: Gyorgy Goloman, Alex Olesinski, and Chris Smith all contributed during that span. 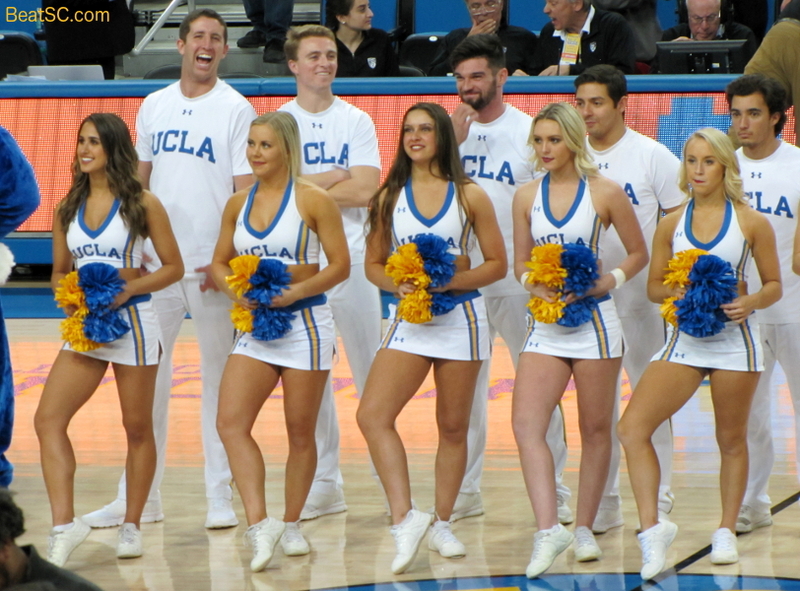 And in the middle of the Second Half, sc lurched ahead again, this time by 9, but UCLA Head Coach Steve Alford called a Time Out, and the Bruins came back out and immediately went on an 11-0 spurt to take the lead back again. Holiday was the leader of this blitz too, scoring 8 of the first 9 Points. 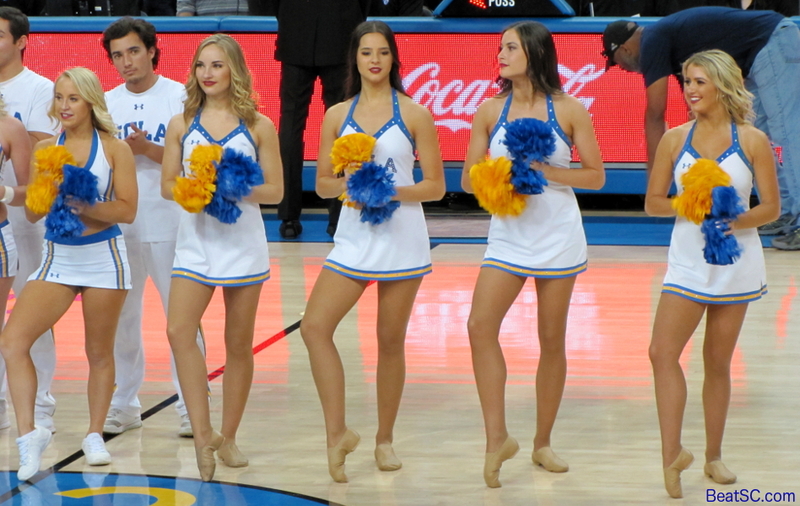 It was tight the rest of the way, but a three by Goloman gave the lead to UCLA with just over 3 minutes to go, and a Kris Wilkes Free Throw tied the game with 1:37 left. Wilkes had another solid game, with 13 Points, 5 Rebounds, and a Steal. Jaylen Hands also made some big plays, scoring 9 and tallying 4 Assists, 4 Rebounds, and 1 Steal. After Wilkes’ game-tying Free Throw, trojan hero Jordan McLaughlin made a great move to the hoop but blew the lay-up, setting the stage for Welsh’s tie-breaking 3. McLaughlin had a chance at redemption, but bricked a 3 that would have forced Overtime. McLaughlin ended the night going 2-for-8 for a paltry 5 Points. His long-time teammate Bennie Boatwright was even worse, going 0-for-5 for 2 Points, but Bennie is playing on an injured foot, not even healthy enough to be in the starting line-up. McLaughlin does not have the same excuse. 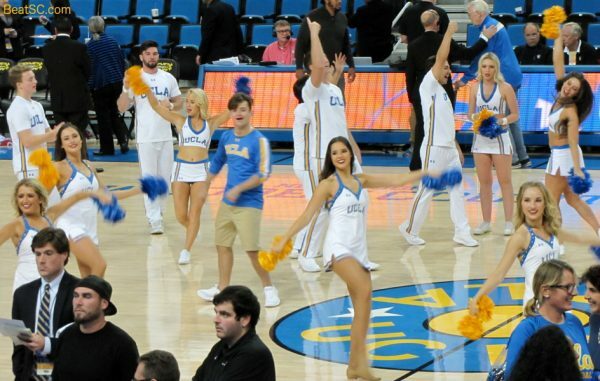 Many Bruin fans lament that the former Bruin recruiting target chose sc over UCLA, but tonight, Holiday was BY FAR the best Point Guard on the floor. And yeah, I know that when Hands is in, he handles some of the Point Guard duties, but still, in this game, Holiday > McLaughlin, Hands Down. The Bruins have now followed up their 3-game losing streak with a 3-game winning streak. Maybe the 3 consecutive losses lit a fire under them, or maybe inserting Hands into the starting line-up for Goloman did. Of course Goloman was not the problem in THIS game. 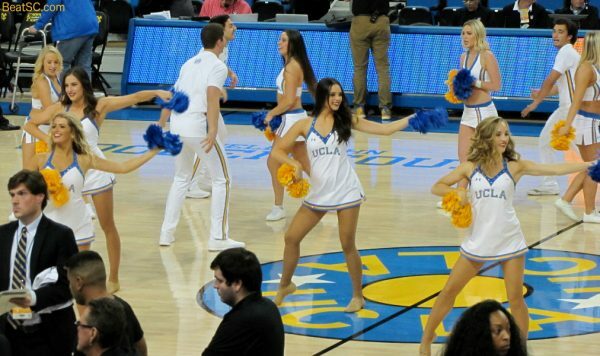 Despite a crucial missed Front End of a 1-and-1, GG was a crucial part of the victory. The line-up change’s boost may not be because Hands > Goloman, but due to creating the energy of a 4-guard line-up at the top of the game. 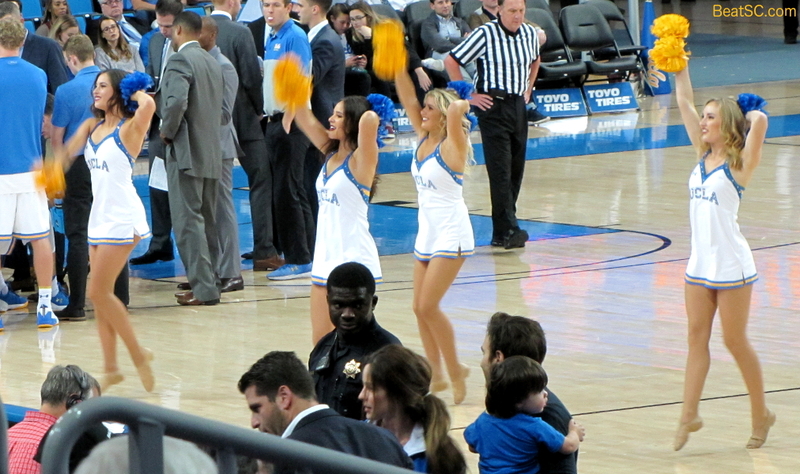 That being said, Reserve GG has been out-playing Starter Prince Ali lately, so it wouldn’t shock me to see Alford go back to a bigger starting five, relegating Ali to the bench. Maybe that will motivate Ali — who went 0-for-3 and had more combined Turnovers/Fouls (3) than Points/Rebounds/Assists (2) — to play more up to his immense potential. 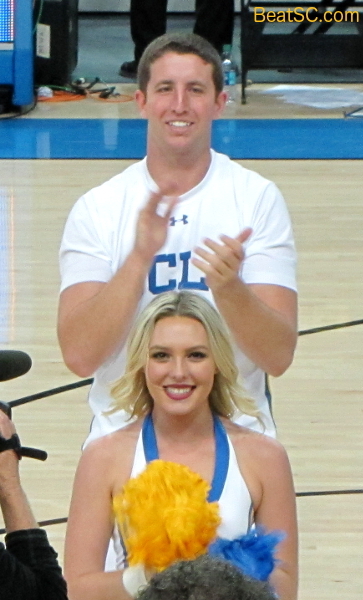 "WELSH CARRIER" was published on February 3rd, 2018 and is listed in Blue & Gold News, News from the Dark Side, UCLA/usc/Cheerleader Photos, UCLA/usc/Sports Photos.